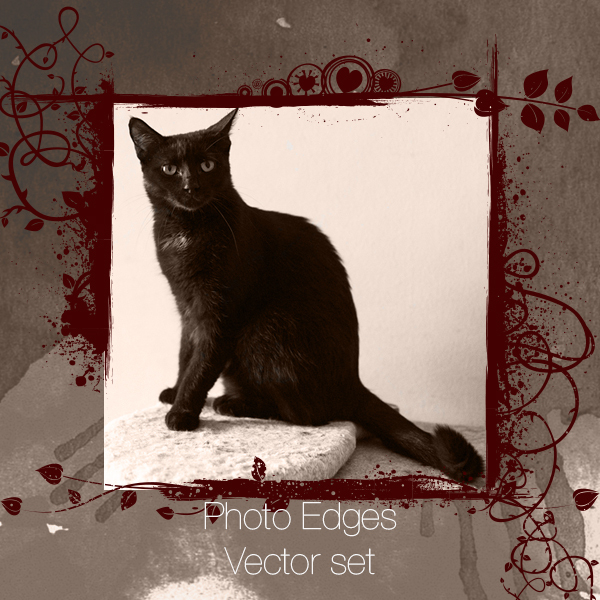 Today, I proudly announce, Photo Edges new Vector Set! It’s ready and available for purchase in my shop 🙂 Since I’m all in a photography these days, this set is here to help you out with your Photo decorations. Scrap books, graphic designs and all other graphical endeavors. 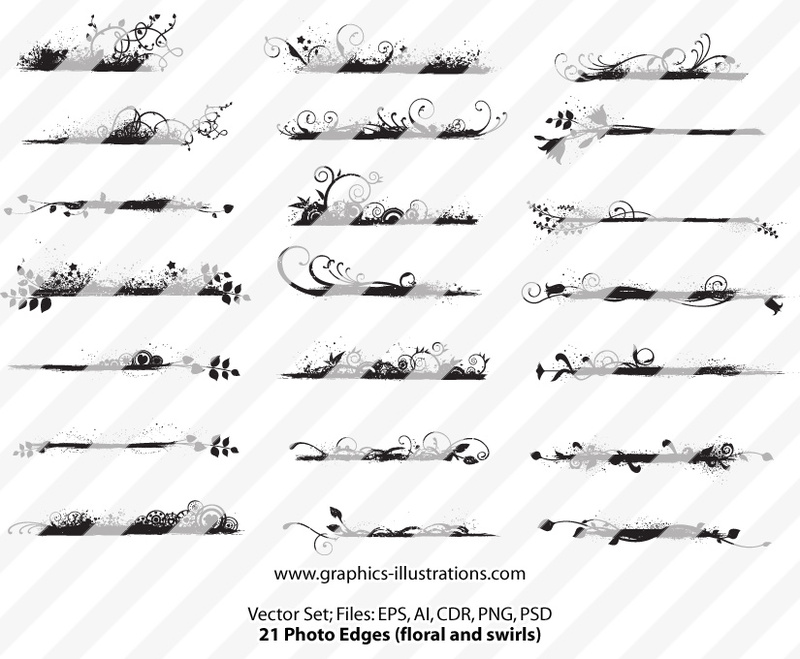 This set is very close to the Swirled Floral Edges Photoshop Brushes set (in Retro and Grungy Swirled Edges Photoshop brushes pack), but contains some brand new and different elements too (see the preview down below). 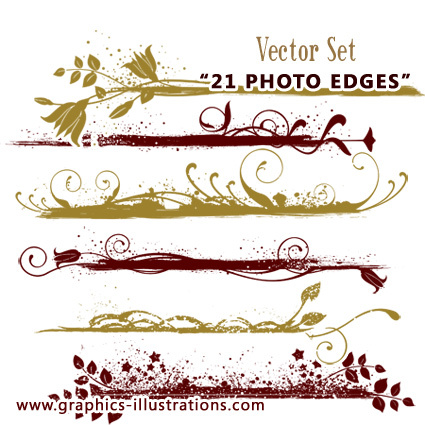 So, Photo Edges Vector Set set now contains 21 high quality vector illustrations, thanks to this cooperation. As usual, here you can download free sample. It that contains 3 vectors in 5 different formats (AI, EPS, CDR, PNG and PSD). Oh Silvia!!! Your NEW vectors are LOVELY as is ALL of your work!!! 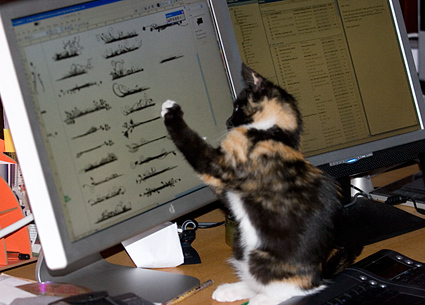 Poofitza is, indeed, a FABULOUS sales “purr”-son and a FABULOUS asset to both your business and personal life!!! Thank you SO much for your CONTINUED generosity in sharing your TIME and your TALENT with ALL of us! I SO wish to be able to purchase ALL of your creations! Perhaps a Christmas present to self, eh? LOL! Shhhhh …. Love these, just like all your other brushes. You rock! Thank you! Thanks so much for sharing a sample of your fantastic photo edges! These new vectors are fabulous! Thanks so much for the sample. I love the photo of Poofitza – too cute! Thank you for sharing your wonderful brushes. I love them! Thanks for the help when help with inspiration was needed! Wonderful site! Carolina, did you confirm your subscription? You must confirm your free subscription. Did you checked your junk e-mail folder? E-mail for the freebies will be sent to you by email and may end up in junk folder. nice new brushes! Does the kitty come with the purchase, too? What a cutie pie!